Our cat dandelion loved playing this game and kept him entertained much longer than expected. Superb app and would recommend to any cat lover! Sadly dandelion was run over and his injuries were so bad we had to put him down, but I am sure he will be there playing his celestial iPad. My cats absolutely love it! They won't always play with it, but that's just cats - if I take it away, and show it to them again later, they usually play with it the second time. The fish is by far the favourite, and it is so funny watching my kitten playing with it! A screen protector is essential though, or you will end up with a badly scratched screen. We have two cats. The hunter will not even look at this app. The lounger is obsessed with it (and, as a result, the iPad in general). She will dig under it, dig on it, and turn it over when I'm playing a game or reading an ebook. As soon as I turn this game on for her, she starts purring. She'll fall asleep on it, but she also likes playing the game. The fish and mice are her favorite. She also liked the chicken from a previous version. She loves the app. I'd like my iPad back. Both of my cats adore this game! At first I thought that the people who made games like this just had too much time on their hands, but now I spend hours on end watching my cats tap at my iPad. This is worth the 99 cents I paid for it. It is amazing! ?? My cats love the fish, mouse, feather,NAND crinkle ball the most. The spider is kinda creepy though, and the bird and dog ones are really cheesy and scare one of my cats. And I don't get the dog one. I mean, why are they flying and why the dynamite? Other than that, this game is awesomely addicting, for both human and cats alike. I would absolutely love it though if you added a realistic sparrow one, or one with a realistic honey bee.?? (Pleeeeeaaase consider those!)?? It's the cat's meow!?? This game gets 2 paws up!! My cats have a few iPad cat game apps but this one blows the others out of the water! Now we have to fight over who gets to use the iPad; them or me! Love the charity-tie in as well, as helping out our furry little friends in need is always a good decision! Contact us with any questions about our games/apps, news, reviews, videos or pics of you and or your cat playing our games. We would love to hear from you. If you are having any technical issues with any of our iOS games please follow the instructions HERE as taking these steps have always fixed any issues that customers have and will get you up and running much quicker than waiting for a response from us. Though we normally reply to customer issues right away please allow 48-72 hours for a reply before repeating contact for the same issue. We are Big Monk Games. A small independent game developer in Saratoga County NY. We develop for iOS devices (iPhone, iPad, and iPod Touch) as well as Windows PC. We got our start with our successful game for cats called "Cat Games" developed for cats to play on their owners iPad which you can find HERE. We have games for you hoomans too that you can get HERE. 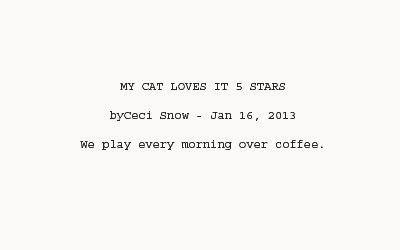 We then created another cat game called "Cat Games String Toys" that you can find HERE. 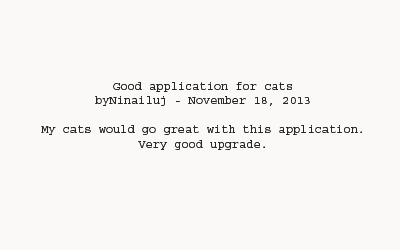 Now we are in deep development of what we think will be the best cat game for iPad in existence. Unlike our previous cat games this soon to be released game will be 3D instead of 2D and boast 24 different games for cats to play. The game will also be free with some games and to get the additional games there will be an in-app purchase available. This way you can make sure your kitty likes this sort of thing before paying for anything.